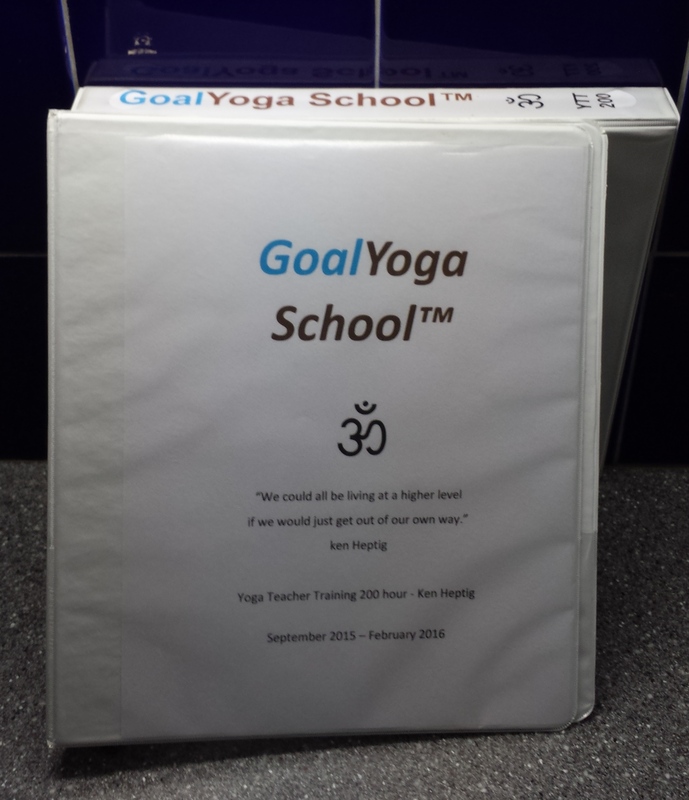 Below are Yoga Teacher Training reviews from our graduates of the GoalYoga School™. How I knew GoalYoga School™ was the right choice for me! I knew from from the beginning when I signed up that this was going to be a crazy ride of physical and mental commitment out of me and my family, that yoga teacher training would be an emotional experience. Some days I was on a total high from training. I couldn’t get enough. I would come home all smiles and would talk for hours about everything we were learning and doing. Other days, I would find myself feeling a little down, introspective and on the verge of tears. It was very interesting to monitor my attitude and see how much things could shift from weekend to weekend and even day to day. What I wasn’t prepared for was how strong of a bond I formed with the 6 other yogis in training with me and how vulnerable, open and honest everyone was with each other. There were so many intense discussions about a wide variety of subjects. This discussion forced you to really evaluate your life – who you are, what you stand for and who you want to be. For every intense, tearful and passionate conversation that we had there were at least 10 joyful, funny and happy moments. The list of memorable moments that had us almost in tears laughing is a mile long. The friendship that we all formed over those three months was unlike anything I had ever experienced. I honestly consider them my “yoga family” now and I look forward to running into them at a studio and around town. It feels amazing to be a part of such a strong community of yogis. This all happened under the guidance of our phenomenal teacher, Ken Heptig. The training that Ken put together for us was the perfect mix of serious and lighthearted, old school and modern day, emotional and physical. GoalYoga training was the perfect fit for where I was in life! I can’t believe I considered not going through teacher training. It was a transformational experience and my life has been forever changed. It has set so many good things in motion and shown me the way to the path I want to be on. I am extremely grateful for Ken Heptig for sharing his knowledge and lighting a fire within us; to my fellow teacher trainees for their willingness to bare their souls and be honest, true friends. To have the opportunity to take YTT from an individual, like Ken, who has been practicing and teaching yoga for nearly 20 years was extraordinary. Ken offers something unique in his training. We focused heavily on the physical aspect of yoga, but we also spent countless hours studying the spiritual and mental part as well. I have a new perspective on yoga and a new outlook on my life. The most important take away is that Ken prepares you to teach immediately after the training is completed. He gives you the confidence and the drive to nail your demo class, and get in front of your first group of students. I would highly recommend Goal Yoga YTT to my friends and family. Quite honestly, YTT changed my life! Not only am I stronger physically, but also mentally and spiritually. I have to admit that I was extremely anxious on that first day, and it didn’t help when I met the rest of the group and I realized that I was old enough to be everybody’s mother!Ken was extremely welcoming and did a great job putting all of us at ease with his encouraging manner throughout this wonderful learning experience.Just because one may retire, it doesn’t mean that we don’t have something to offer to others. Now I can share my new found knowledge with others. I highly recommend YTT At GoalYoga for anyone who wishes to teach yoga or even become a better student. I had the wonderful good luck to obtain my yoga certification from Ken Heptig. I could not have asked for anyone better. His training allowed me to learn the poses, how to design a practice, and the opportunity to show the practice to the other students, thus receiving positive/negative feedback. It was always in a supportive atmosphere, which I needed. The other wonderful thing I got was the opportunity to meditate. It’s like his logo says: Flow through the world with ease. Yes, definitely..Ken’s Goal Yoga is something not to be missed. Ken’s YTT has given me a deeper understanding not only of yoga poses and the way my body works but best of all allowed me to deepen my relationship with myself and the Divine within. Ken is always positive, knowledgeable, compassionate, supportive and engaging. His training is well balanced and the spiritual component made it complete. I gained more confidence and trust in myself and i now go through life with a “lighter” attitude. His training is for anyone that is interested in evolving physically and spiritually and gain knowledge for teaching yoga. Ken’s YTT yoga training has been an inspiration with his knowledge, guidance & wonderful enthusiastic personality. He is always ready to answer any questions we have. His positive approach to yoga really makes a difference in growth as a yoga teacher and or life experience. I’ve always enjoyed movement but when faced with a lengthy recouperation where I had lost my strength, I decided to go to a hot yoga class at Dowd YMCA late December of 2013. I did not realize it was an advanced class and was not sure I could participate at all. I don’t know how he did it but Ken Heptig lead the class of varying levels, I felt comfortable and at the end of class I felt successful. The physical and spiritual is what I desire to give to my future yoga students so I am learning from Ken at GoalYoga, a great experience on my path. ” I have really enjoyed Ken’s yoga teacher training. With one weekend left, I can honestly say I am significantly more confident in my own abilities and I am ready to teach (in fact, I have!). He is great at working with different personalities, melding us together as a group and keeping the group on task and moving forward. Obtaining your 200 hour yoga teaching certification is a very intimidating goal. I was very nervous at first but as the weekends flew by and my knowledge for yoga deepened. I became more confident in my practice and in my ability to share my practice, love, and appreciation for yoga with others through the knowledge I gained from Ken’s training. I recommend entering any training with an open heart and mind to yourself, other students, and the teacher. Ken is knowledgeable, passionate, and engaging. He makes yoga doable for all levels. His teacher training will allow you to go deeper into your practice and make you think more about how your practice can relate to your everyday life. Ytt with Ken will allow you to improve your practice and how you feel about yoga. Goal Yoga has given me the confidence to teach yoga in a class setting. The practice sessions during YTT has helped me tailor a class with ease despite the varying level of students in a class.